Bring the beauty of the Eiffel tower to your next party with dramatic Paris centerpieces in your table d?cor. 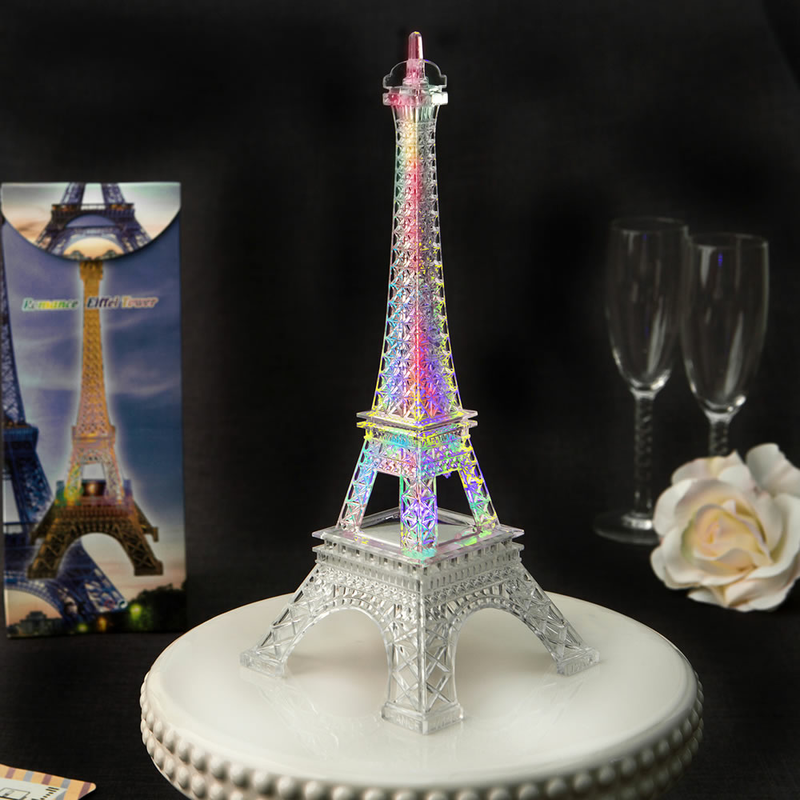 Fully set up with shimmering LED lights, the elegant Eiffel towers are made from clear acrylic plastic and have decorative lights that change colors. Use them as stunning displays to add Parisian flair as prom decorations or bridal shower party tables, or to decorate the perfect Paris-theme cake for the event. Each measures 10"H x 4"W and has an on/off switch on the base. They will arrive in a picture box with Eiffel Tower graphic.